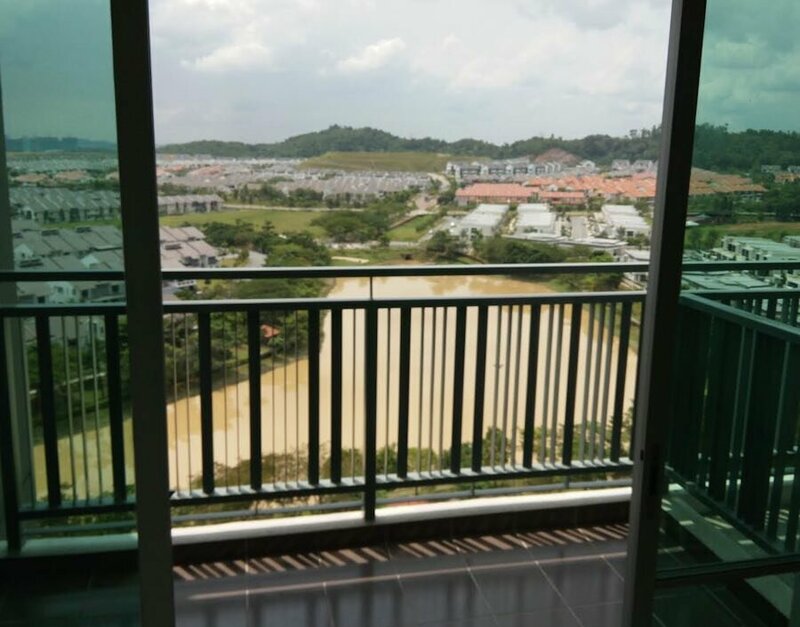 View from balcony of the unit for rent in Idaman Residence. 3 bedroom and 2 bathroom condo for Idaman Residence @Nusa Idaman (Nusajaya) for rent @ RM 2200/month. 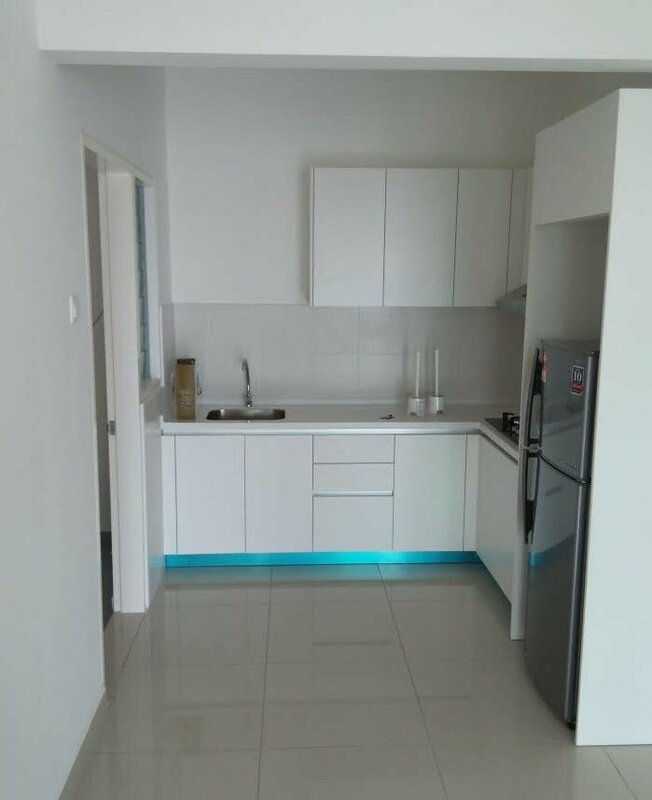 The condo offers typical features of the 24 hour gated and guarded condos in Johor Bahru: covered parking, gymnasium, jogging track, playground and swimming pool. All of the bedrooms come with a bed (double for master and room 2, single for room 3), wardrobe and computer desk. Living area comes with 2 sofas, coffee table, tv cabinet, 4 seat dining table, fridge and washing machine. All rooms include fan and air conditioning. 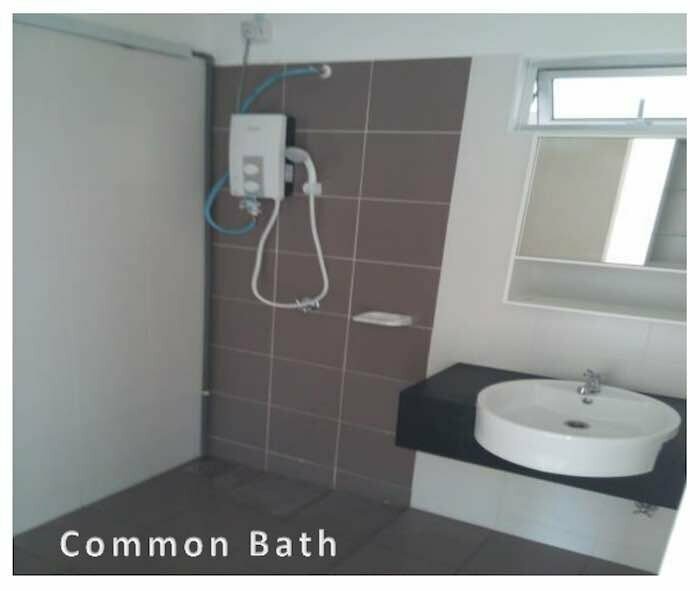 Both bathrooms equipped with water heater system. 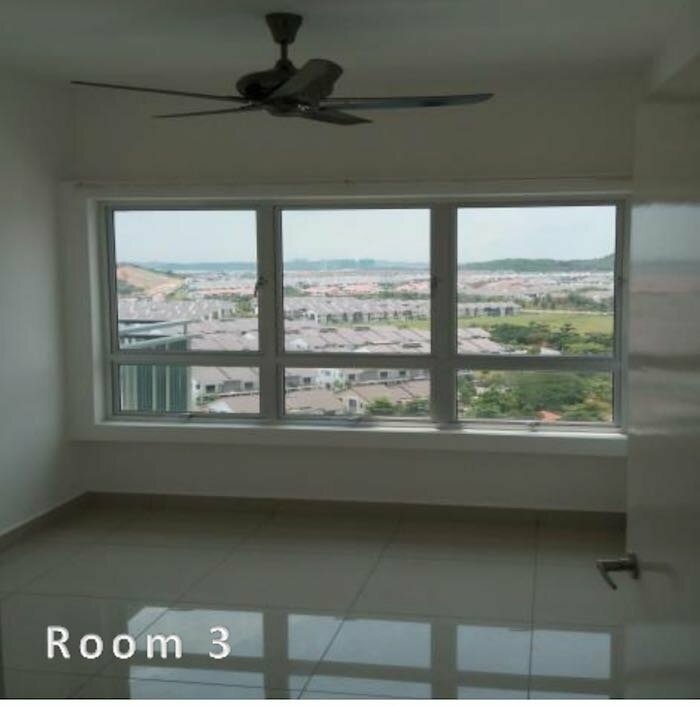 The unit includes 1 carpark (additional carpark can be obtained at RM90 a month. For viewing (more photos are also available) please call Gunaseelan +601126977673 or Izwan (owner) +60122538906.